Inspired by courses getting harder&harder year after year, allowing only either the fastest handlers - or those with best trained dogs!!! - to survive - and motivated by all my students who are real Foundations pros already and just can't get enough of classes... 🙂 - I decided to add this class. I actually prepared X-treme Foundations DVD with this class in mind, so that's the program we'll be following. The class is appropriate for all with solid Foundations who want to train for even more independence and challenge their dogs further. 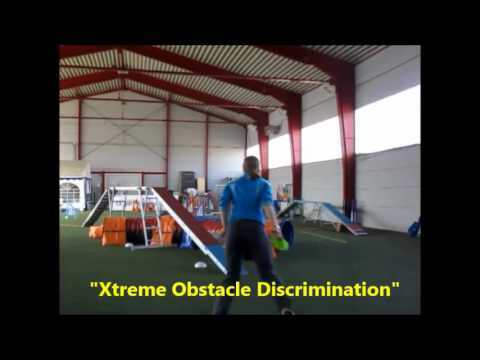 The class requires minimal equipment and space - you can do most of the exercises with just 2 jumps and 2 tunnels, but of course, you will need weaves for weaves lesson and at least one contact obstacle for obstacle discrimination lesson. This class has 5 lessons and is 10 weeks long - each lesson is 2 weeks and we'll also have a 2 week catch up break in between. We're starting on March 19, but you can register and enter the classroom already now. I will do Extreme Foundation in January as you suggested. Will need in preparation for abc nationals in March. It is my understanding that I can join Graduates at that time. Is that correct? Yes, you qualify for Graduates as soon as you join your 5th class. Hello silvia! How is this class for not so motivated dogs? 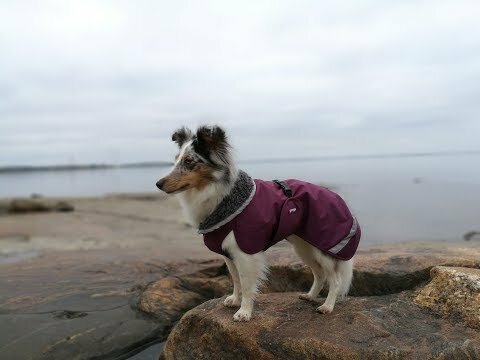 I have a sheltie with whom I ve come a long way working a lot on motivation and drive. She enjoys agility now and runs a lot better, but we have to move to grade 3 and also wc selections cause we reached too many winning points. Is there room in this class for teaching such extremes keeping motivation up? I am doubting between this one and the beyond foundation 🙂 thanks! Yes, it’s certainly doable, we’ll just need to be extra careful to make things easy enough to start with (and add challenges gradually enough) to keep success rate high + avoid too many repetitions. Ok thank you, we will join the fun! I dont have the dvd yet but my computer doesnt work, I do everything with ipad, is it possible to have it sent to me instead so I can watch it on my dvd player? Or should I buy it seperately and choose option 2? You could as well download with iPad -- just let me know, so I send you the instructions. Or I can as well send the DVD yes. I dont have much space on the ipad . I prefer dvd then. Is it ok if I choose participant then since shipping is not included? O.k., you can do that, just send me your shipping address by e-mail then. Great, we just registered -- I will email you. Looking forward to the class! Does she know cik/cap and come to hand and threadles and pushes to some degree? It doesn’t need to be mastered, but you do want to have some basics already to build on. If not, then March Foundations is better place to start. She has cik for tight turns, gira for turning away from me, out, and yes we are practicing sequences and everything. The one in March is “Agility Foundations” you have on your site? Yes, in March it’s Agility Foundations. But sounds like she might know enough for Xtreme! Yes, you would need to skip the weave part for now of course. But I think the rest should be o.k. for her, so if you don’t have any major problems (like not turning tight, not coming to hand, lacking motivation etc. ), then I think Xtreme would be more interesting for you two. 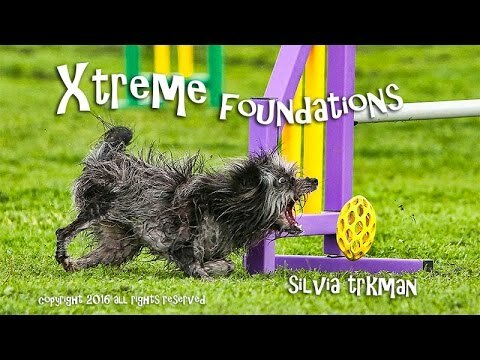 I signed up for Xtreme foundations but then I realized that we might not be knowledgeable enough yet! Just wanted your thoughts. We’ve gone through several levels of courses with in person classes, and she knows how to enter obstacles from the other side (and I’m sure we can teach a cik/cap as well), but we haven’t touched weaves yet in class. We are doing 5 obstacle sequences in class already. Hm, yes, I think Foundations might be more appropriate… Do you want to switch? If you think we can manage it, I think I would like to stay in this class. The timing isn’t so great for March and by then I think we will be way ahead in the in-person classes! It’s as you want, but it takes me about 6+ months to master Foundations with my dogs, so with my 8-months old puppy, it will be a while before I’m way ahead of Foundation class… I do however mix in some Xtreme elements as well, so as long as your dog has no problems with motivation, it indeed can’t hurt to add some of advanced stuff in as well.